“I’m not going to write a blog about this match if there isn’t anything to say,” I say to the parentals. Thirteen minutes into the first semi-final and Novak is leading Rafa 3 – 0. “What do you mean?” Dad says, looking up from his Financial Times. Rafa wins his serve. 1 – 3. Novak wins his: 4 – 1. Rafa bounces the ball, whilst adjusting his t-shirt, pulling at his shorts, stroking his hair behind his ears and pushing his headband back. He performs this ritual before almost every serve. It works this game anyway: 2 – 4. “Perfect service game,” Mum says as Novak wins his serve: 5 – 2. “Come on Rafa you can win another game,” Mum says. He does: 3 – 5. But now it’s set point to Novak, who wins it to take the first set. The world number one is in commanding form today. “Now the crowd are going to get behind Rafa to give them a proper match,” Andrew Castle says. Rafa obliges by holding serve in the first game of the second set, coming back from 0 – 30 down: 1 – 0. Novak holds his serve to love. 1 – 1. “From Nadal’s point of view, it’s one of those matches where he always feels that he’s serving,” Tim says. Rafa gets out of his service game: 2 – 1. Dad has fallen asleep in his chair. Novak holds his serve to love: 2 – 2. Rafa is in trouble: 15 – 40. He saves one breakpoint but Novak wins the next one: 3 – 2. Novak holds: 4 – 2. “He’s trying to regain his very best form, and that’s good news,” Andrew Castle says, as Rafa prepares to serve. Bouncing the ball, smoothing his hair, pulling at his t-shirt. Rafa wins the game: 3 – 4. “Still no breakpoints for Rafael Nadal in this match, Andrew says. “Novak has been clinical in all areas,” Tim says. I need a wee but don’t want to miss the rest of the match, I think as Novak does a volley that doesn’t seem possible and Rafa applauds him. “Novak looks like a machine,” Mum says. Rafa is sweating now as he serves to stay in the match. Deuce. Advantage Rafa but Novak has an answer. “How can he find the lines like that?” Mum says. Then it’s match point to Novak, which he wins. “Is it finished?” Dad says, opening his eyes. “It’s hardly started,” Mum says. Poor Rafa. Clinical from Novak. 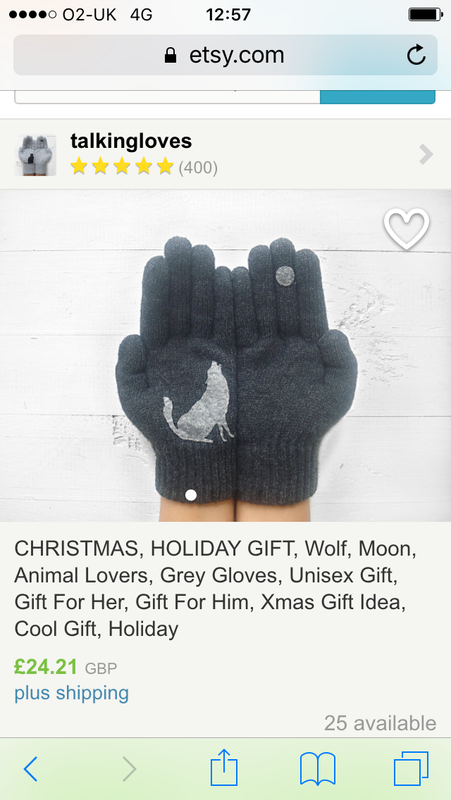 Hope he will like them, or at least appreciate the thought I’ve put in to finding him wolf-howling-at-the-moon gloves. The attached photo is the fluffy monster – two years ago today. *1975. By Kin Platt. Tennis crime novel. This entry was posted in Uncategorized and tagged #blogging, #boyfriend, #family, #longdistancelove, #longdistancerelationships, #love, #novakdjokovic, #parents, #presents, #rafaelnadal, #relationships, #sport, #tennis, #writing, watchingtennis. Bookmark the permalink. LOVE the gloves! I’m sure Seb will, too.